These Mixed Colors Boost Glass Bowls are refined fumed glass-on-glass accessories for your bong. 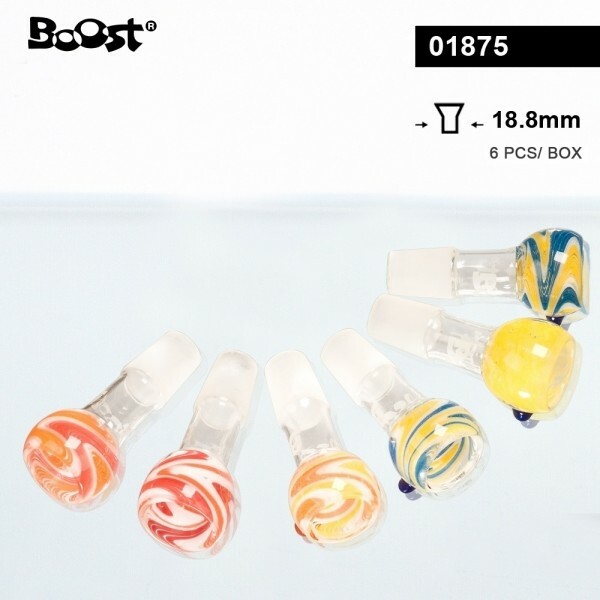 They come in different swirling colors painted upon the high quality heat proof borosilicate glass of 18.8mm diameter made to fit any 18.8mm diameter joint. The white Boost logo features on the joint of the bowls.